Not all paint finishes need a rotary buffer to correct paint imperfections. 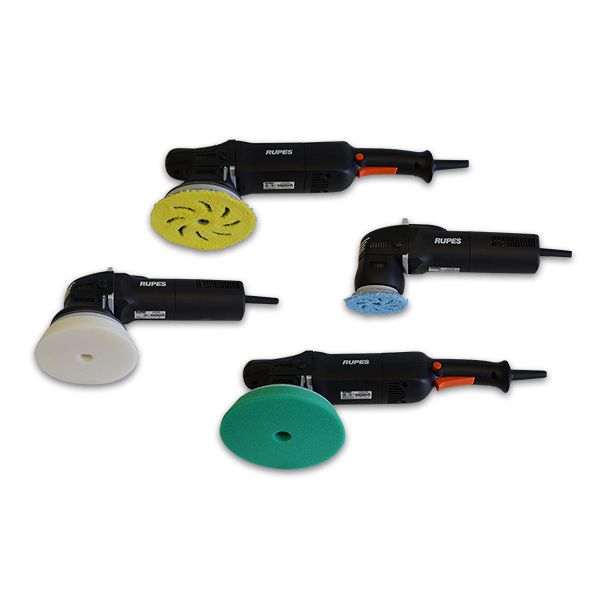 Random orbital polisher buffers like our Rupes Big Foot Mark II polishers, Flex 3401 DA random orbital polisher, Porter Cable 7424 DA, Cyclo Dual Action Polisher and Gem polisher can perform minor to medium paint correction. 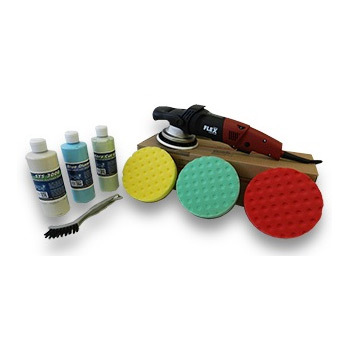 Detail King has a huge selection of money saving polisher value kits that include an assortment of various buffing pads and polishing products. Detail King features a huge selection of Lake Country and 3M foam and microfiber polishing and buffing pads for your Rupes Polishers, Porter Cable 7424 XP and Flex XC 3401VGR DA Random Orbital Polishers. If your detailing arsenal includes a Cyclo Polisher we have both single and double sided Cyclo buffing and polishing pads and accessories. 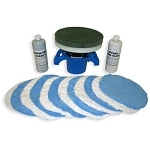 Got dirty buffing pads? Easily clean and condition them with our Universal Pad Washing Machine and Pad Cleaning Solution. Flex XC 3401VGR Dual Action Polisher Kits will save you time and money and provide a swirl free gleaming finish. Detail King Offers the Rupes Big Foot Random Orbital Polishing System, the only polisher that guarantees quicker paint correction than any other buffing and polishing system on the market. 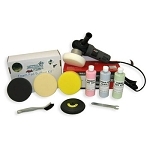 Detail King offers 20 different Money Saving Porter Cable 7424XP Polisher Kit Value Packages. 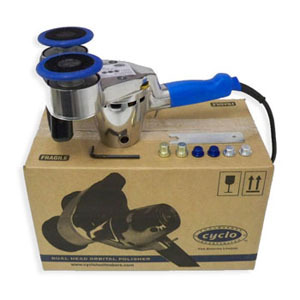 Cyclo dual head orbital polishers are easy for the novice auto detailer to use and will not burn the paint. Gem polishers are perfect for polishing large vehicles with flat surfaces. Detail King has both 14Lb and 16LB models.